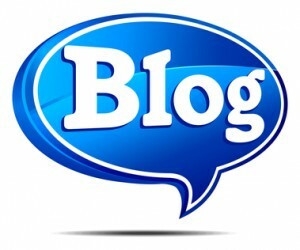 At Synergy Marketing, we have been maintaining a daily blog for quite some time now. In fact, it’s been nearly six years since we posted our first blog and we’ve been keeping up with our commitment to add a new blog each and every business day of the week since then. Considering that, we’d argue that our company website contains the most informative content of any promotional products business out there! And we’re quite proud of that feat. The Synergy Marketing Blog is chock-full of incredibly useful information for business owners of all types. Our blogs have ranged from championing the use of promotional products to finding creative ways to utilize the internet. It’s never short on helpful advice, but we even throw some current event pieces in there now and again. However, there is one thing about our blog that has truly helped us to grow our online reach. And that would be the way that we promote it. To be honest, we learned this the hard way. For the first couple of years, we didn’t utilize our social media profiles as much as we do now and our blog wasn’t so popular. You see, posting content to your website is a great idea. But it’s important to get the word out about it. After all, who’s going to read your blog if no one knows that it exists? As a result, we make sure to stay on top of promoting each and every blog post. “Writing your latest blog post and hitting publish is just the beginning when it comes to growing your subscription base,” writes social media strategist, Rebekah Radice, “If you truly want to gain the attention of your target audience (and Google), then you will need to spend time promoting your content in multiple locations.” On her website, she lists a number of tips to help business owners to promote their latest blog posts. 1. Take to tweeting. Every blog post on the Synergy Marketing Blog receives no less than two tweets on our official Twitter account. Firstly, we have it set up so that there is always an automatic notification on Twitter that our new blog post has been made live. Secondly, our Twitter account administrator will then go about engaging our audience via a question that our blog post answers. Of course, a link to the blog is always in each tweet. 2. Follow through on Facebook. What we do on Twitter, we also do on Facebook. This popilar social media site generally encourages discussion by allowing friends and fans to post comments of their own underneath your posts. As well, the posts also encourage “likes”, which help you to determine how much people are interested in what you’ve posted. Each day, we post a link to our blog on our Facebook page along with an audience-engaging question that the blog answers. Be sure to check back for tomorrow’s blog as we unveil a few more great ways to build buzz for your blog. And don’t forget to call us directly at 1-877-748-9884 to order your promotional products!